Box office: Veere Di Wedding starring Kareena Kapoor Khan, Sonam Kapoor Ahuja, Swara Bhasker and Shikha Talsania has hit the theatres and it is doing amazingly well at the box office. The film collected 10.70 crores on its opening day at the box office. After entering in the list of highest opening weekend grossers Of 2018, Veere Di Wedding is moving ahead to achieve some more milestones now. The film which stands at the grand total of 48.03 crores has successfully surpassed the lifetime collections of Rani Mukherji’s Hichki (46.17 crores) and Varun Dhawan’s October (45.36 crores). Veere Di Wedding is all set to touch the 50 crore mark soon. 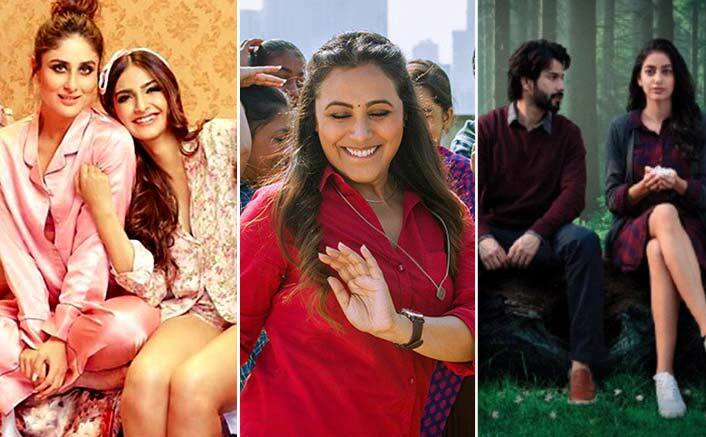 Despite other releases like Parmanu: The Story Of Parmanu, Raazi, Bhavesh Joshi Superhero and 102 Not Out, Veere Di Wedding has managed to stand out at the box office. Namastey England: Arjun Kapoor & Parineeti Chopra Shoot This Grand Song! If the film continues to run like this at the box office, it will definitely make some more records. Recently in a statement to IANS, producer Rhea Kapoor said that she is happy with the positive response to the film, and hopes it changes the way female-centric films are perceived. “Calling the film a chick flick would put it in a bracket. At a juncture where we are trying to break away from labels, it’s high time we had a film that doesn’t judge women and at the same time is aspirational,” Rhea said in a statement to IANS. “I am overwhelmed with response from the audience and at the box office and I hope this film breaks the glass ceiling,” she added. The post Box Office: Veere Di Wedding Beats The Lifetime Collections Of These Films Of 2018 appeared first on Koimoi.